Ladies and gentleman - YBBA is proud to announce 8 brand new black belts today and a 1st dan Decided black belt. What a great morning! Congrats for her 1st dan Decided to Payton Karson. 1st dan recommended to Sally Wade, Marcel McLaughlin, Ian Jeffers, Holly Jeffers, Sean Jeffers, Anni Jeffers, Mae Jeffers, and Ella Jeffers. As I enter my 36th year of training, I have never once in my life witnessed a family of 6 get their black belt together at the same time. Not sure we will ever see that again. Historical moment for sure. Thanks to all of the students who were there to support the crew as well as family and friends. YBBA STRONG!! Enjoy your family, give thanks, and lose the dysfunction. Don't post pics of your food on Facebook. Everyone is eating, we get it! Don't post on social media hints that you are not at home. I would love that if I was a bad person and knew where you lived. Why make it easier? For god's sake......UNPLUG FOR A DAY!!! Tonight in Underhill - white through blue belt at 6:30pm. Red and Black belts at 7pm. Tomorow in So. Burlington - white through blue bet at 6pm. Red and Black belt at 6:30pm. Please be in complete uniform and don't forget your belt. Competition team members can wear competition uniform. Here's a classic pic of some amazing martial artists! 5 Grand Champions that day. They all started as small children and grew up to be not only amazing martial artists, but amazing people who are part of a beautiful community. How do we as martial arts instructors affect change in society? By partnering with the student to bring out the very best in them, help them grow, and realize their true potential. I always say, if you become a better person through your training, you make your family stronger. If your family is stronger, your community is stronger. If you help make your community stronger, we as a society become stronger. No hateful rhetoric. No blaming. No "I didn't get a fair chance". Only through hard work, determination, and care will you overcome. Much love to those pictured: Master Fred Forsberg, Master Shelby Williamson, Master Brianne Williamson, Mr. Taylor Ward, Mr. Panos Lekkas, and Mr. Niko Lekkas. We see here educators, brilliant Masters, honored military who served our country, amazing parents, an officer of the law, business managers, and simply great students. History was made at our school yesterday. 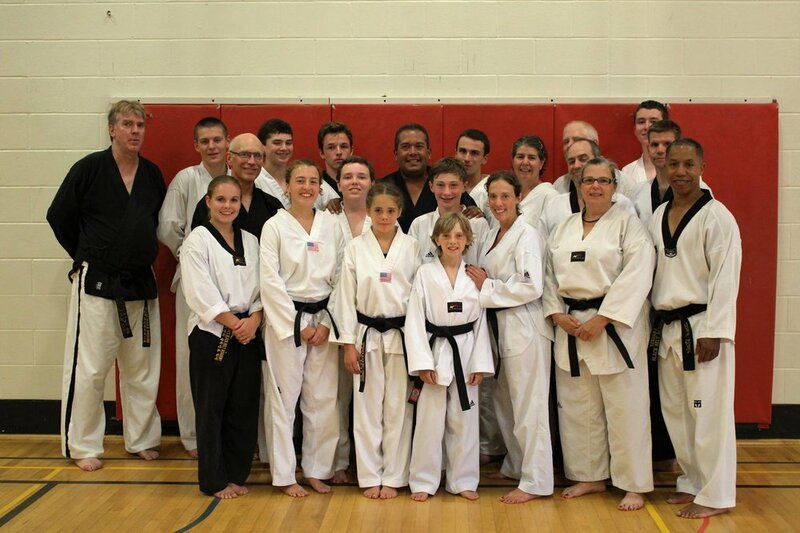 We promoted 20 black belts of all levels yesterday from 1st dan to 5th dan. This is the largest black belt testing I have ever had as a school owner. Honestly in all of my time I personally have never been part of a black belt testing that large that was only 1 school. I have been part of them with many schools coming together but this was a first. Their dedication and work ethic are obvious. 3 pics here; first pic is of the YBBA student body that was able to be there. We had a 50% turnout rate for the school photo. Not bad. Special Guest Appearance by Master Keith Hathaway and Master Laura Napoli. Thanks to everyone for their continued support of YBBA and for making my dreams as a school owner come true. YBBA SUMMER CAMP 2016............That's a wrap folks! What an awesome week. Inspiring, intense, funny, fierce, and heart warming. To see these kids come together in unity and help each other, push each other, motivate each other, makes me the luckiest Master Instructor on the planet! Thanks to Staci Grove for your hard work with photography, video editing, running for coffee, etc. Thanks to William Stevens and Ethan Sander for their leadership. Thanks to all the students and parents for believing in our vision. As promised, this video pretty much sums up this week. A must see! Staci Grove.....you rock.